Little lovely artisan ring stitch markers carry a single bead and make sure your place is marked with style. Ringlets fit up to size 8 - set of 10. Shown at left - Matte Multi Orange. 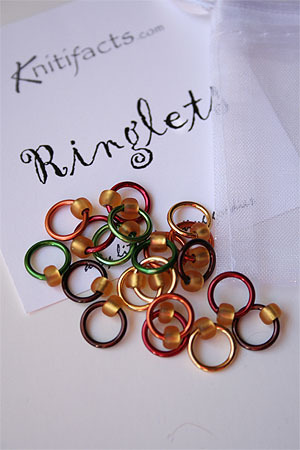 Ringlet stitch markers - use with needles up to US8.